St. John the Theologian Monastery is one of ancient Russian cloisters, a multicolored pearl of Ryazan region. The monastery is situated on the right bank of the Oka in Poshchupovo in Rybnoye district of Ryazan region 25 km from Ryazan. The historical legend traces its foundation to the end of the 12th century or to the beginning of the 13th century when monks first came to this place. They were preachers of God’s word. 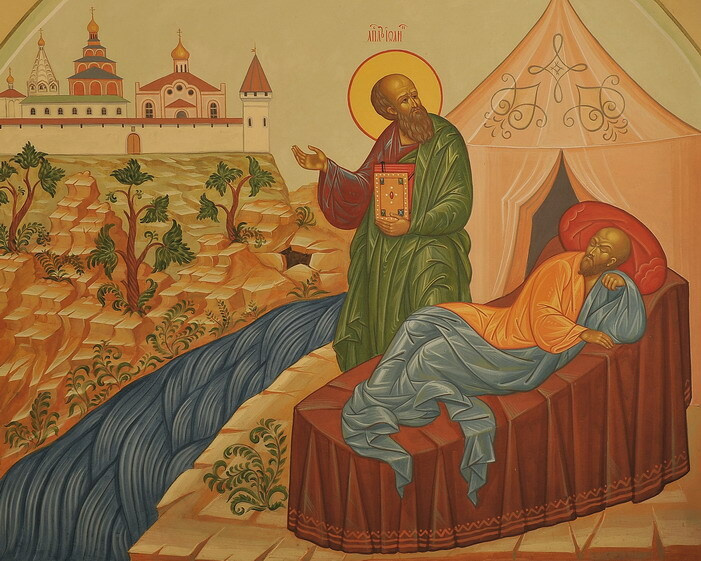 They brought a wonderworking icon of the Holy Apostle and Evangelist John the Theologian. It had been painted by an orphan boy in Byzantium in the 6th century. The icon became the main sanctity of St. John the Theologian Monastery. By 1237 the southern slope of the hill, on which the monastery is situated today, and the caves carefully made by monks, which are now dilapidated, had become their abode, the place where they were looking for the only need – deification. They spent days and nights in ascetic work and prayers calling for the Gifts of the Holy Spirit for their souls and the world around them. In December 1237 the Holy Apostle and Evangelist John the Theologian defended his cloister from Tartar-Mongol invaders. The cruel khan and his warriors were frightened by the vision of the Holy Apostle. Baty-khan stopped all the attempts to demolish the monastery and left his gold seal at the wonderworking icon. This seal was kept by the monks for 416 years. In 1653 it was taken from the icon to gild the big stoup. 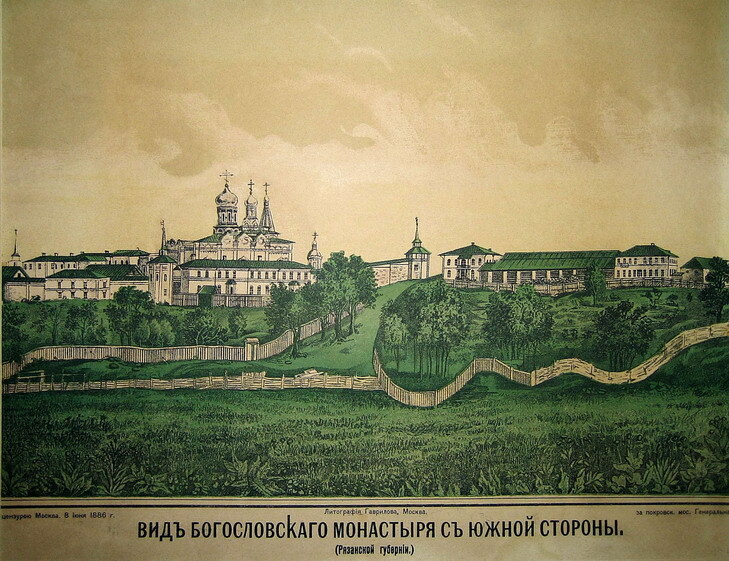 In the 16th century and in the first half of the 17th century the monastery experienced numerous invasions of the Crimean Tartars but still revived.